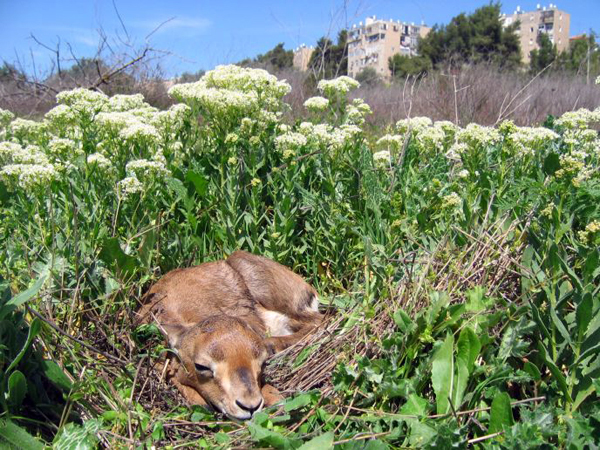 Gazelle Valley, in the middle of urban Jerusalem, has been home to the native Israeli mountain gazelle for millennia, but, in recent decades, the encroaching city severely suppressed their numbers and real estate developers threatened to wipe them out permanently. The Society for the Protection of Nature in Israel (SPNI), along with area residents, fought for 15 years to maintain the wild patch, and they won! 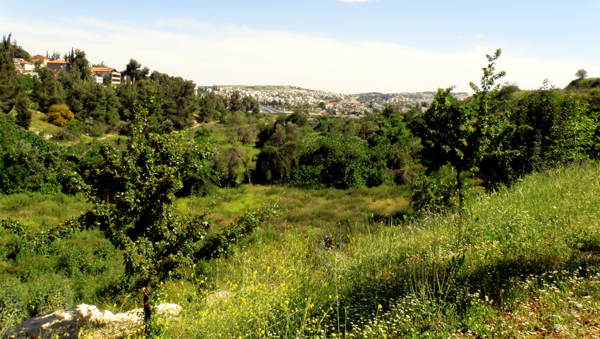 Then the city of Jerusalem, community groups, and NGOs worked together to clean up the neglected plot and turn it into a nature reserve and community gathering place. The park opened in the spring of 2015, with enhancements planned for years to come. Within the 64-acre park, the replenished (and growing!) 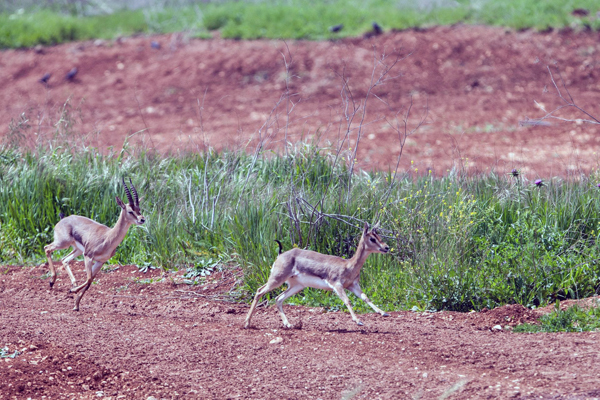 gazelle population has 22 acres to roam freely without being disturbed by human visitors. In addition to glimpses of gazelles, birds and other wildlife, humans enjoy walking and bike paths, picnic tables and benches, guided tours, educational programs for all ages, chamber music concerts, and weekly Friday evening Shabbat celebrations. Gazelle Valley Park is open daily. Entrance is free of charge. 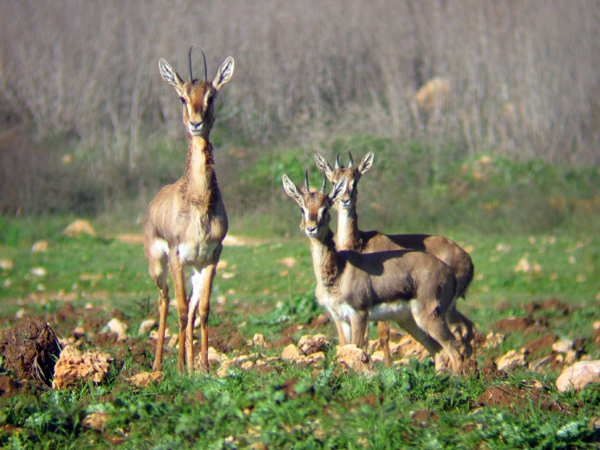 This entry was posted in Israel and tagged gazelle valley park, Israel, Jerusalem by yalla2013. Bookmark the permalink.